The Polly Progress is a Multi Chair with five unique configurations for every age and stage: Newborn Recliner, Infant Highchair, Toddler Booster, Big Kid Booster, and Youth Stool. It can even accommodate two children at once - one in the booster, and one in the stool. Polly Progress Relax also features deluxe fabrics and premium add-ons for happier, more comfortable mealtimes. 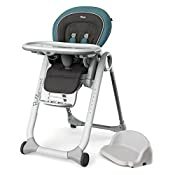 For growing babies, Progress Relax offers all the convenience of an everyday highchair with a padded seat, five-point harness, removable tray, eight height positions, and four recline positions. The fully reclined position doubles as a newborn recliner for comfortable bottle feeding. Progress Relax also includes a bonus seat cushion that is removable and reversible, providing extra padding with cozy fleece or cool mesh. For easier cleaning, the main seat pad is soft like fabric, but wipeable like vinyl. A detachable toy bar creates a playful environment for relaxing in the recliner between feedings. 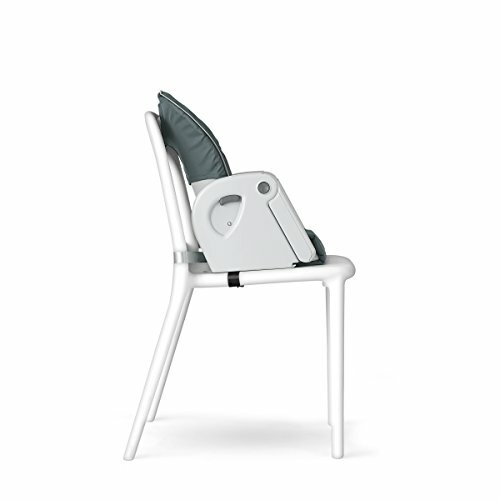 As baby grows into a toddler, the highchair seat is easy to detach from its frame to create a high-back booster that secures to a dining chair for meals with the tray or at the table. A unique zip-off extension panel and collapsible armrests reduce the high-back booster to an even more streamlined, portable seat for big kids. For older children, the highchair frame converts to a height-adjustable stool with a snap-on seat and fold-away footrest. Progress Relax also includes a deluxe cushion for the snap-on seat to provide even more comfort. Designed for use in Infant Highchair and Toddler Booster modes, the tray snaps easily onto the armrests for mealtime and slides onto the rear legs for storage. An included, removable liner makes for easy serving and cleaning.